Deliberate fires are on the rise in the north-east. New figures have revealed that deliberate fires are on the rise across the north-east. In Fraserburgh and Banff, the figures have soared by as much as 166% – despite efforts by firefighters to highlight the dangers of fires. 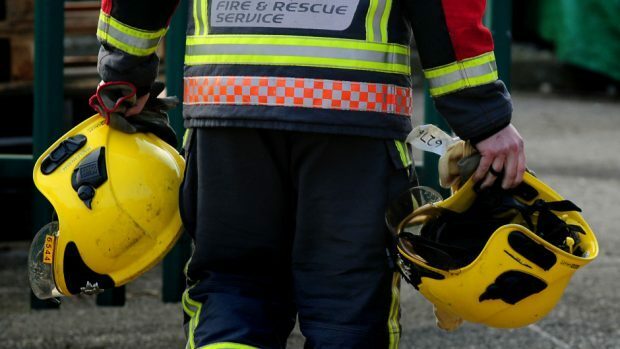 Firefighters were called to 16 deliberate fires in Fraserburgh, while in Banff there were three. However, the fire service figures – which will be presented to Banff and Buchan councillors next week – show that the number of incidents in Troup have been stamped out, with none reported since 2015. Last night, safety groups and councillors admitted the figures were concerning – and urged people to think before setting a fire. “People should think before they do these things,” Brian Topping, chairman of Fraserburgh safety group said. “These things call out our fire brigade who, as a result, might miss something else that could cost someone their life – be that a car crash or house fire. The stark figures, which will be presented to the Banff and Buchan area committee next week, come just weeks after dozens of people were forced to flee from Station Hotel in Fraserburgh after a fire broke out. No one was injured, but thousands of pounds worth of damage was caused to stock at a carpet business next door. Banff safety group member, and Troup councillor, Mark Findlater added: “The fire service has actually been instrumental in helping to catch some of these fire raisers, by telling supermarkets to watch for people coming in and buying things like lighter fluid. “There’s been a few up here in the last two years, but I have full confidence in our emergency services.